Hyundai boldly claim the Kona will "set new performance standards for the compact SUV segment." We’ve known for some time now that Hyundai is working on a sub-compact SUV to rival the Nissan Juke, but now the Korean manufacturer has released a mysterious new teaser for its upcoming crossover ahead of its official reveal. 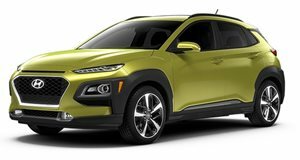 Called the Kona, the name for Hyundai’s first B-segment SUV is derived from the Kona district on the Big Island of Hawaii, keeping up the tradition of Hyundai SUVs being named after travel destinations like the Santa Fe, Tucson, and Veracruz before it. “The Hawaiian destination is valued by North Pacific adventurers as a base for many thrill-seeking activities, including surfing, water skiing and scuba diving, among other extreme sports,” the manufacturer said about the inspiration for the name. “The island’s energetic image is reflected in the innovative, practical and highly functional design of Hyundai’s new lifestyle-focused SUV.” Whether the styling, performance and handling of the Kona lives up to its exotic name remains to be seen, but there’s certainly potential here. While little is shown in the teaser image, the slender headlight hints at a sleek future design direction for Hyundai’s SUVs. The Kona will also deliver “best-in-class interior space and innovative design features that hint at the future direction of the brand's next generation of SUV models.” The Kona is a pivotal part of Hyundai’s strategy to become the leading Asian automotive brand in Europe by 2021, while branching out to the increasingly popular subcompact SUV segment will allow it to compete with the likes of the Nissan Juke, Honda HR-V and Chevrolet Trax. It’s due to go on sale in the US in 2018 – the teaser suggests a reveal is imminent, so don’t be surprised if the Hyundai Kona shows up at the New York Auto Show this month.